Following news that Egypt's state-owned Al-Akhbar newspaper had censored articles by prominent writers, the newspaper's management took further decisions regarding who was to share opinion on their pages. According to Moemen Khalifa, editor of the opinion pages, the number of opinion pages will be reduced from three to two, and will prioritise articles from Al-Akhbar employees over those written by independent writers. The replaced page will include topics on economics, local policy and readers' letters, Khalifa told Ahram Online. 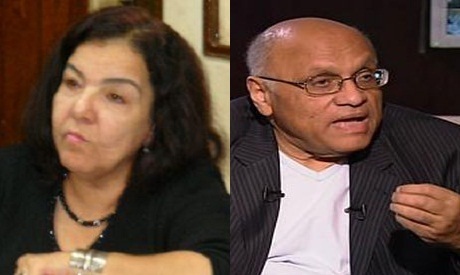 The change means that writers, such as Ibrahim Abdel-Meguid and Youssef El-Qaeed, will no longer write for Al-Akhbar. For Abdel-Meguid, the move is meant to sideline writers known for their critical views of the Muslim Brotherhood. Later on Wednesday, however, Khalifa refuted this, stating that the two pages would include articles by known opposition figures, such as Mahmoud El-Wardani and others. However, this seems to contradict earlier actions by the newspaper. Earlier Wednesday, El-Qaeed, an Egyptian writer and novelist, told Ahram Online that state-owned newspaper Al-Akhbar on Sunday refused to publish his latest article in which he criticises the Muslim Brotherhood. El-Qaeed said that his article – entitled, "Neither Adherence nor Obedience," denounced the Brotherhood members and supporters who allegedly beat television presenters and injured journalist Khaled Salah during a Wednesday demonstration at Egyptian Media Production City against those who allegedly spread false rumours about President Mohamed Morsi and the Islamist group. El-Qaeed confirmed that he was writing under contact signed with the previous editor-in-chief of the newspaper. The paper's new editor-in-chief, Mohamed Hassan El-Banna, who was recently appointed by the Brotherhood-led Shura Council (the upper house of Egypt's parliament), denied the ban, saying that the newspaper had not received any articles from the writer. El-Banna denied that El-Qaeed had filed any copy with the paper, adding that the well-known novelist was not a writer for Al-Akhbar and therefore could not claim the right to publish his articles with the state publication. "He has no contract with us, we didn't censor his article, and we haven't received any articles from him at all," El-Banna asserted. "Moreover, Al-Akhbar will not publish any articles from any journalist outside the newspaper. We have fine in-house writers and they're the ones who deserve to write." On Thursday, the newspaper censored the daily column of writer and journalist Abla Roweini, the former editor-in-chief of Literature News. Abla told Ahram Online that she was asked to tone down her criticisms of the Brotherhood or reconsider the entire piece. Roweini refused to modify or revise her article and informed the editorial staff that it must either publish the column in its totality or not publish it all. She told Ahram Online that she had received no response from the staff. On Friday, the newspaper went to print without her daily column. This comes after recent instances of media censorship in the private sector, sparking fears over the freedom of the press. Recent issues of independent daily Al-Dostour were confiscated from the paper's offices on Saturday, following complaints filed against the newspaper heads, accusing Al-Dostour of insulting the president and inciting sectarian strife in Egypt. A statement published on Al-Dostour's website accused security forces of raiding Egypt's Al-Gomhouriya print house, in which the newspaper is printed. In addition, the Egyptian television channel owned by prominent talk show host Tawfiq Okasha ceased transmission on Thursday on orders of Egyptian state authorities, after a lawsuit filed by the Brotherhood's Freedom and Justice Party accused Okasha of inciting violence against the Brotherhood and the president. We dont need "half baked intellectuals" as erdogan once said. We need real intellectuals who can advance egypt in all sphears i.e technologies, philosophy, research.... These haf baked intellectuals come from the secular mafia that ruled Egypt and determined to keep the country a third world nation. NO ONE CAN FORBID ANYTHING TO BE KNOWN BY ALL PEOPLE IN THE AGE OF THE INTERNET. WHEN YOU PREVENT AN ARTICLE THAT COULD BY READ BY THOUSANDS - IT WILL BE READ AT THE SAME DAY BY MILLIONS AT ALL SITES. Unbelievable...it has only been two months and Morsi and his Ikhwan cronies are already behaving worse than Mubarak and the NDP. It is so obvious that these people do not care about democracy, freedom, or the Egyptian people--all they care about is their own hold on power. It is sickening. Egypt would have been much better off, and much more democratic, under Shafik. Something must be done about this. We must unite to put an end to press censorship and make it a hot-button issue, and then we must move to end this tyrannical regime before it becomes too ingrained in Egyptian society. Egypt cannot survive ten years of MB rule. If the Egyptian people don't put a swift end to any such acts of violence sanctioned by those in power, no matter whom they are perpetrated by, then the revolution will fail. It is these very small groups which quickly become state sponsored militias and support a new form of dictatorship. This is what happened in Iran with the baseej - elite revolutionary forces. They have effectively turned Iran into a Mafia state. The people of Egypt must take measures to enshrine civil liberties in the new constitution and have it enacted by Parliament immediately. No president should have both executive and legislative powers for too long. WAKE UP before it is too late. These anti-Islam writers are hell-bent on thwarting the democratic experiment in Egypt, They just couldn't bring themselves to accepting Islamists in power. Besides, they remaibned utterly silent during 30 years of Mubarak;s tyranny. I guess you don't mind dictatorship since you're bending to them! The revolution continues untill Egypt get's rid of all dictators and those that bend their asses to them! "Your comment has been added and sent for review" - This is CENSORSHIP! It please me to observe the rapid adoption of social media in the communication with the public. The censors located in the established news channels can be by-passed and ones own opinion may be read and commented by others without filter! Democracy and transparency! If you realy want Democracy & Transparency you have to give it a chance. Promoting, encouraging sectarianism is hideous and deadly for democracy. I live in Canada and i can see the racism and mocking of Midlle-East Moslem sectarism is being promoted. As in US, EU, UK. Western powers are pleased with M.E. sectarisme so it will inflame the whole Region for generations to come, in endless War and destruction, as we are witnessing in Syria and countries they already ruined.